Warning!!! You might fall madly in love with these jewelry but unable to purchase them, because Mary Anne has take up a job and might not be making jewelry for sale anymore, you may, however, drop her a convo or contact her via her facebook fanpage if you would really like to have a piece of her work. I have included links to get hold of her in the last paragraph of this blog post. 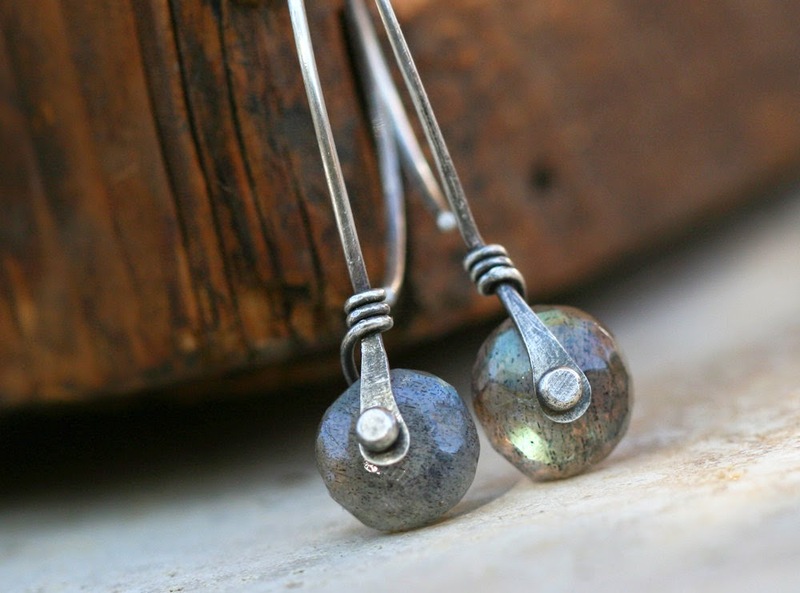 Labradorite rondelles are riveted and wrapped on Mary's hand hammered sterling silver earwires. Labradorite is a soft gray stone with flashes of blue, green, and gold iridescence. These are natural semi-precious gemstones. 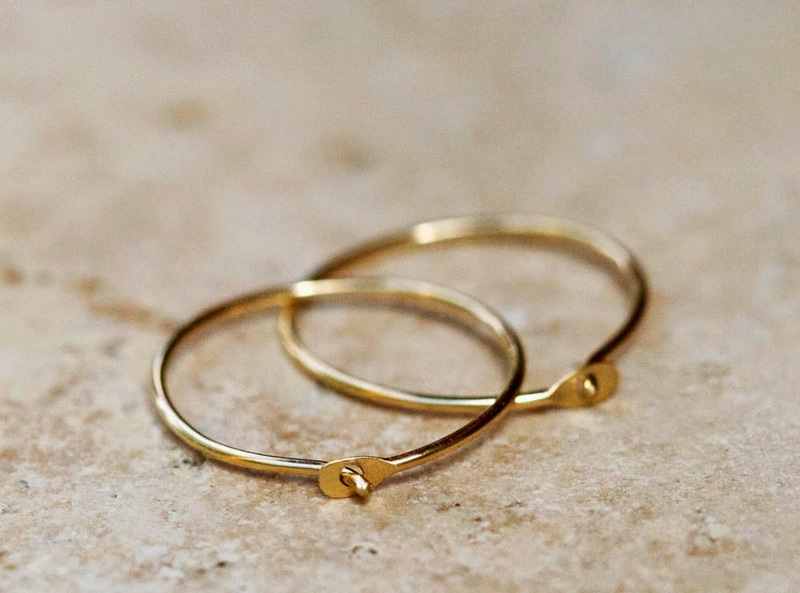 Elegantly curved earwires have a strong feminine curve to them, and the rivets give a touch of industrial. The wires are lightly hammered and oxidized and polished for depth. 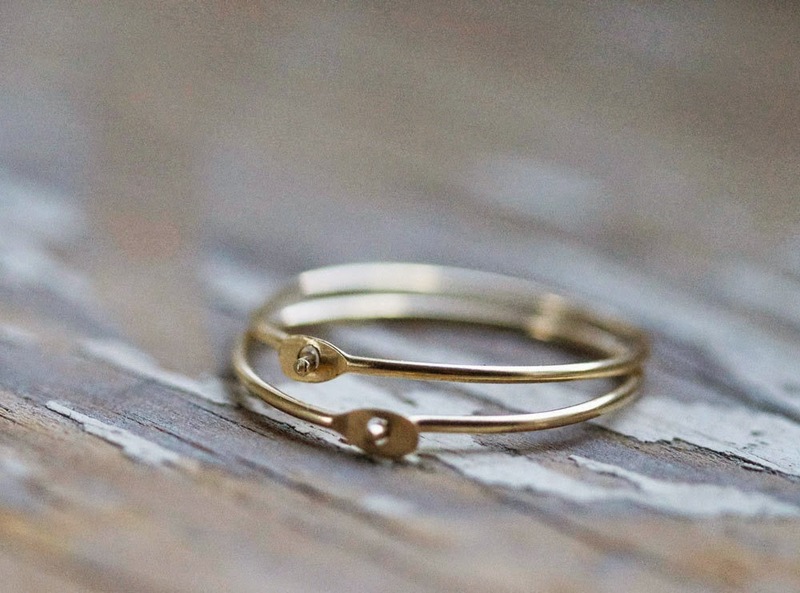 Lightweight and comfortable, these earrings are perfect for every day wear. Mary Anne's sterling rivet series earrings come in a longer and a petite size. This is the petite size. Earrings are about 1 and 3/8 inches long and the stones are about 6 to 8mm across. 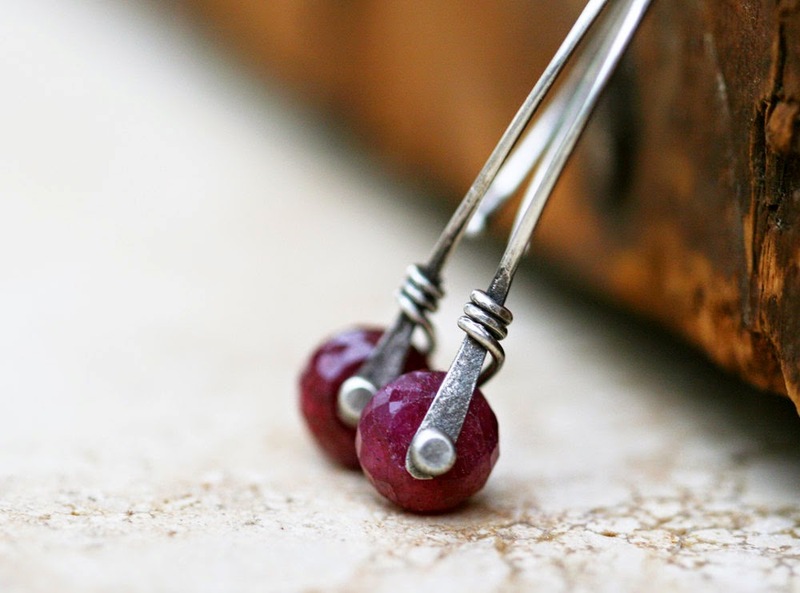 Raspberry red rubies dangle from Mary Anne's riveted and wrapped hand hammered sterling silver earwires. These little faceted ruby rondelles are just adorable, with their cheerful sparkle. Raspberry is the best term to describe the color... not a true red, but darker than fuschia, with a hint of plum purple in there too. 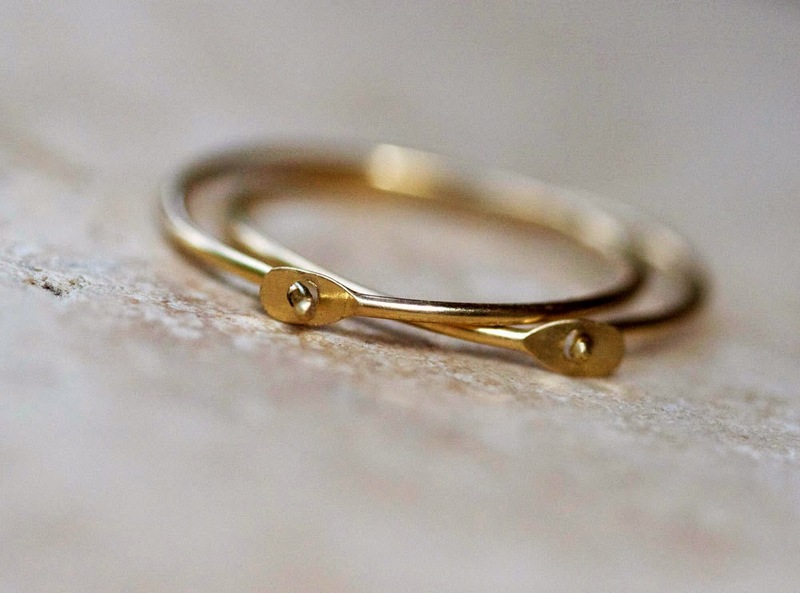 The earwires have a strong feminine curve to them, and the rivets give a touch of industrial. 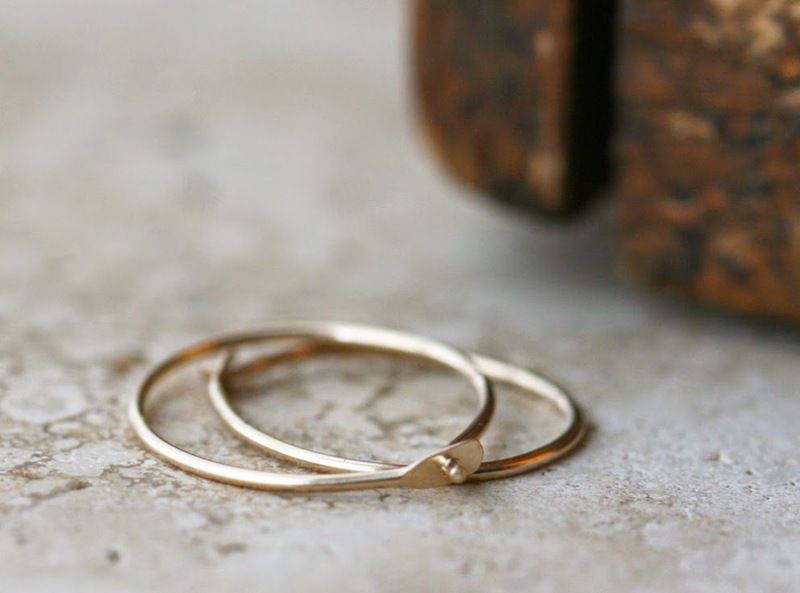 Lightweight and comfortable, these earrings are perfect for every day wear. This is the petite size of Mary Anne's rivet earrings. Earrings are about 1.25 inches long and the stones are about 6mm across. 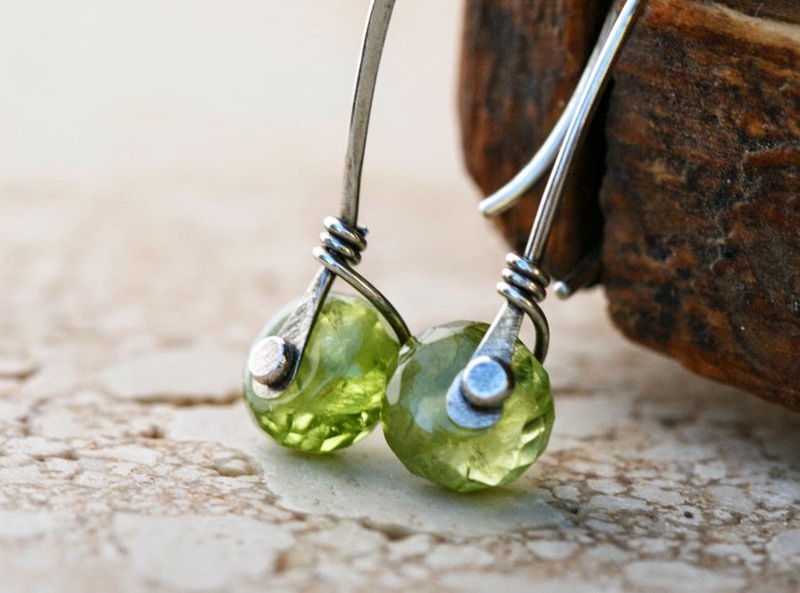 Mary Anne wrapped bright, limey green peridot rondelles on her hand hammered sterling silver earwires. It's hard to find a happier little gemstone than peridot. These are good quality natural stones, mostly translucent (but with some inclusions), and a cheerful bright green color. The earwires have a strong feminine curve to them, and the rivets give a touch of industrial. 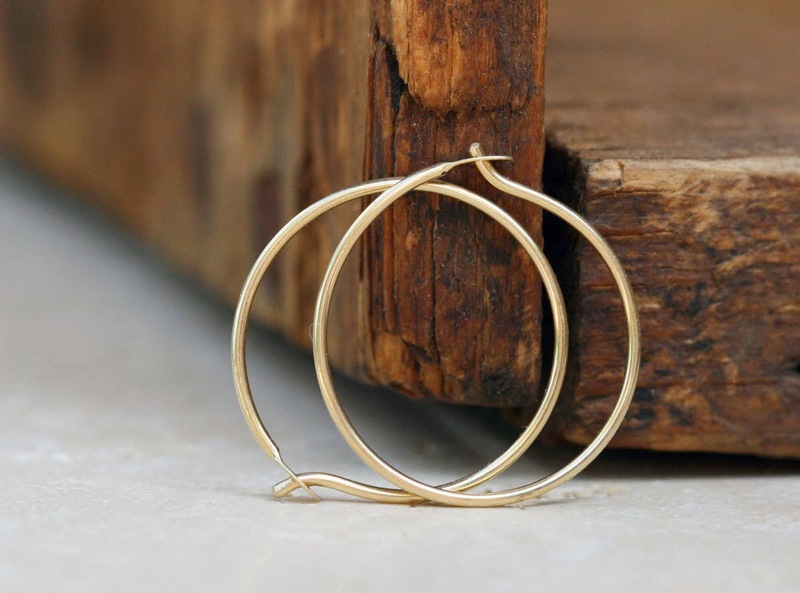 Lightweight and comfortable, these earrings are perfect for every day wear. Earrings are about 1.25 inches long and the stones are 6-8mm across. Now here's the interesting part. 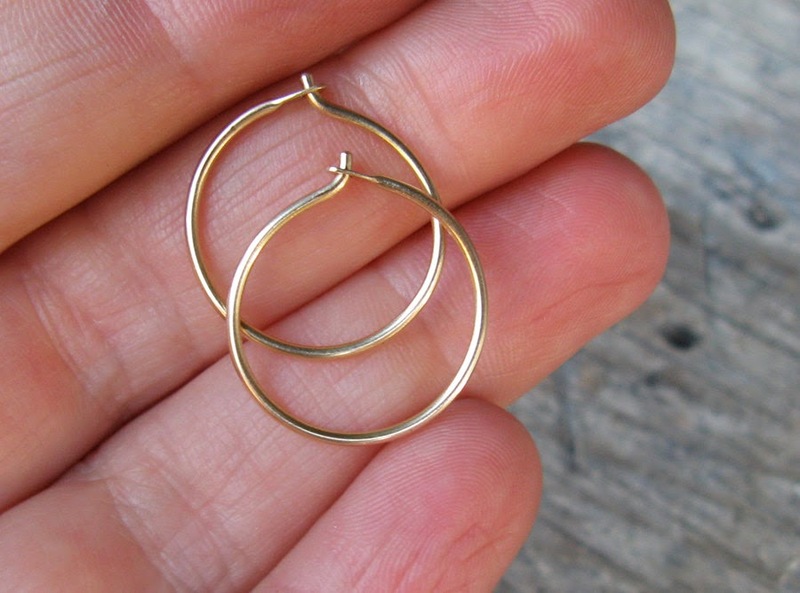 While I was studying about Mary Anne Karren, I discovered that she'd written a tutorial on how to make her highly demanded Gold Hoop Earrings with Self-Locking Closure, it's such a pleasant surprise and I'd urge you to pay her website a visit to view the full tutorial write up about her 14K Gold Hoop Earrings with the Self-Locking Closure! And I have embeded her video tutorial here for your viewing pleasure, too! Hope you enjoy viewing, and last but not least, be sure to visit Mary Anne Karren etsy. facebook fanpage and blog!